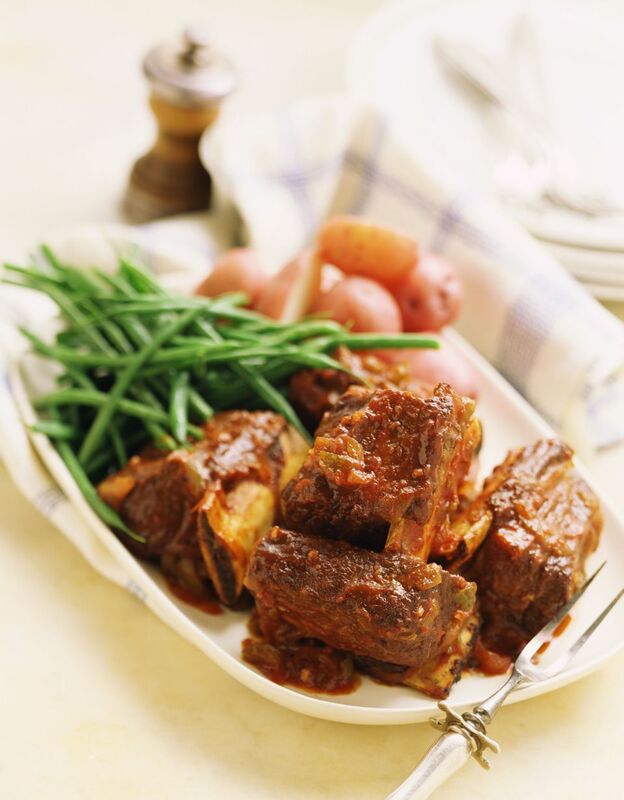 Crockpot Asian Beef Short Ribs / Brian Hagiwara / Getty Images. Using your slow cooker can help turn even the toughest cuts of beef into a succulent, tender protein that becomes the star of the show. You don't have to buy the most expensive cut at the butcher for a delicious meal, or spend hours slaving over the stove. Add these awesome slow-cooker beef recipes to your repertoire for a hands-off, satisfying supper, even on busy weeknights. Using packaged onion-gravy mix, cream of mushroom soup, and beef stock means you can have most of the ingredients for this satisfying supper on hand for whenever you want it. Cube steak or tenderized round steak work well here. Don't skip browning the meat in a skillet first; it gives it a nice crust and locks in the juices, for a tender, slightly crispy result. Enjoy your favorite barbecue-joint fare right at home with this awesome slow cooker BBQ brisket. Marinate it overnight in garlic salt, celery salt, onion powder, and liquid smoke, to give it that authentic flavor that tastes like it spent the night in a fiery pit instead of your fridge. Cook and shred it to serve as brisket sandwiches, or just on a plate with your favorite sides. Adjust the heat by using a spicier or milder sauce. 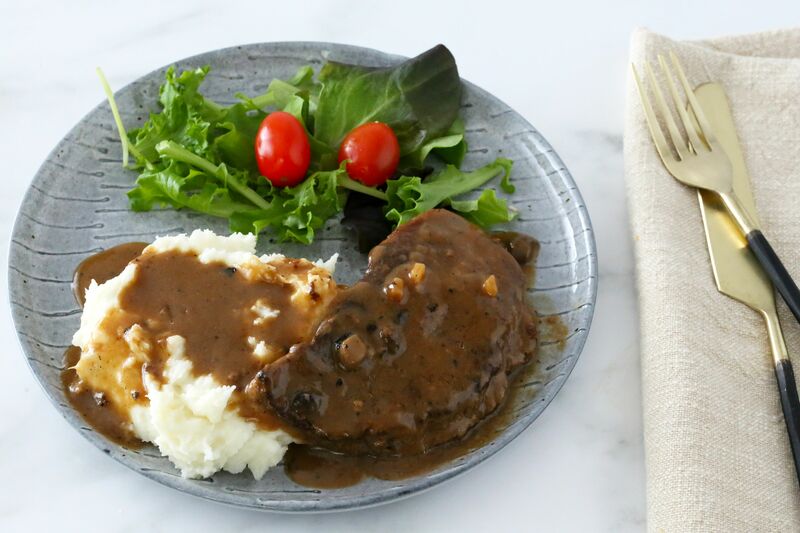 This traditional Swiss steak gets its name from its preparation, which requires rolling and tenderizing the meat, then stewing it with a bright tomato or earthy mushroom sauce. Your grandma may have even made it, since the recipe dates from all the way back in 1915. Make it chunkier by using diced or stewed tomatoes instead of tomato soup, and toss in some more fresh vegetables if you like a more complex dish. A rainy day can't get you down if you have this tangy, comforting pot roast bubbling away in your crock pot. Red wine, tomato sauce, and beef broth create a rich sauce with beautiful depth, and you can toss carrots and potatoes right in with the meat for a complete meal. Use a boneless chuck roast or another cut suited to long, slow cooking. Continue to 5 of 33 below. Grab some tortillas, a little sour cream, some pico de Gallo, and maybe even a sliced avocado to complement this spicy slow cooker jalapeño beef. Chuck shoulder or bottom round, onion, garlic, and a can of jalapeño peppers meld together in your slow cooker all day, for a delicious taco bar when you get home. You can also use fresh peppers, but add a few ounces of water or broth so it doesn't get too dry. No need to fire up the grill for these fall-off-the-bone BBQ short ribs. A quick sear locks in the flavor and gives them a great crust that a slow cooker can't create, while a few hours in the slow cooker finishes it off. Use your favorite bottled or homemade barbecue sauce to complete the package, and serve them with fries, Mac and cheese, or another one of your favorite sides. Soy sauce and chili garlic sauce create a lovely Asian flavor that differentiates these beef ribs from the barbecue dishes you may know better. A long, slow cook mellows out the spicy flavors, so they won't come out too assertive. To save even more time, just toss frozen ribs right in the slow cooker. Add an hour of cooking on high to defrost, then turn it to low for the rest of the time. Different regions of the U.S. like their chili different ways, so you may want to adjust this basic slow cooker recipe to suit your tastes. It calls for canned tomatoes and beans, plus ground beef and a variety of seasonings. Adjust the spice by adding more chili powder or cumin. You can also serve it with bottled hot sauce on the side, if your fellow diners have different spice tolerances. Continue to 9 of 33 below. Taco seasoning gives this slow-cooker ground beef and beans a Tex-Mex flavor that turns any evening into Taco Tuesday. Try topping it with crushed tortilla chips, or serving the mixture on top of grilled corn tortillas for an easy taco preparation. Frozen charred corn will level up the flavor, but regular corn works too. Dollops of sour cream, sliced avocado, and chopped cilantro complete the package. Rescue your busy weeknight dinner with this easy beef macaroni and cheese. Powdered cheese sauce, condensed soup, and stewed tomatoes make it a convenient and budget-friendly meal, and the addition of macaroni to the mix makes it a nice, well-balanced supper. You can use condensed cream of cheddar soup instead of the powdered mix and condensed soup, or use ranch dressing mix instead of the cheese mix for a different flavor. Three—that's right, three!—ingredients come together for a slightly spicy, fork-tender pot roast that makes amazing sandwiches. Jarred pepperoncini, chuck roast, and four cloves of garlic spend 8-10 hours in the slow cooker so you have supper ready to roll when you get home. If you can't find pepperoncini, banana peppers or jalapeños also work. Note that the latter get quite spicy, so be prepared! Creamy, comforting beef stroganoff uses low-fat cream of mushroom soup for a slightly lighter version than the one mom used to make. Sliced mushrooms add texture and browning sauce gives the sauce a nice color, but you can omit both for a simpler dish. Serve it over egg noodles, rice, or mashed potatoes with a green vegetable like broccoli or Brussels sprouts. Continue to 13 of 33 below. Spicy, tortilla-layered enchiladas usually get baked in the oven, but this slow cooker version can cook during the day instead of requiring a long assembly right before dinner. Use corn or flour tortillas (or even tortilla chips). Shredded Mexican cheese mixture or even nacho cheese spread would also taste great in this Tex-Mex presentation. You can bake stuffed shells right in your slow cooker, and come home to a pot full of saucy, cheesy, beefy Italian boats of goodness. Cook the pasta shells until they're just al dente, with a little firmness left before filling. That makes them easier to fill and they won't turn to mush over the long cook time. Drain the beef well too, so it doesn't make the shells greasy. Stuff ground beef and rice mixture into bell peppers and then baked in the slow cooker for a delicious meal. Vary the spices, add diced tomatoes, or use a different type of rice to mix it up. Use leaner beef so you don't end up with too much oil in your dish. Sprinkle some shredded cheese over the top near the end of cooking, for a fun variation. A classic beef stew with vegetables makes a lovely slow cooker meal, because the flavors come together over the long cooking time. Tapioca makes a nice thickener, but you can also thicken it with a water and flour slurry if that's what you have on hand. Searing the beef before adding it to the slow cooker gives the whole dish more flavor, color, and texture, but you can omit the step if you don't have time. Continue to 17 of 33 below. Assertive, fragrant, fresh ginger makes this Asian-inspired beef dish, don't be tempted to substitute ground. Feel free to use different vegetables to suit your taste and serve it with fresh hot rice or pasta. If it tastes too muted after spending time in the slow cooker, add additional hoisin, soy sauce, stir in fresh-grated ginger, or just salt and pepper before serving. Flank steak becomes tender and succulent in the slow cooker, which breaks down the fibrous cut over time. Cut it against the grain when serving. Salsa and beans give the dish a delicious Tex-Mex flavor. Ramp up the spice by using a hotter salsa, or keep it mild if you don't like heat and serve it with a cold beer. Meatloaf and potatoes slowly cook together n this simple, homestyle recipe. When forming the loaf, don't press it together too hard or it will be dense. Just before serving, spread the loaf with barbecue sauce or ketchup, or even lay some sliced American cheese over the top and cook just until melted. Lean ground beef, pineapple, bell pepper, and soy sauce create these Asian-flavored meatballs that work just as well as a party appetizer as they do a tasty meal. If you are prepping for a party, start them in the morning and then just pull them out when you're ready to eat or even serve them right from the slow cooker itself. Continue to 21 of 33 below. Toothsome barley and inexpensive, tender round steak give this hearty stew a rich, stick-to-your-ribs texture. A host of veggies add nutrition and fiber. To thicken up the stew, add a slurry of water and cornstarch or flour toward the end. Serve with crusty bread and a green salad, to make it a complete meal. A classic German Rouladen makes a rich, unique supper to add to your slow cooker repertoire. Flatten round steak between sheets of plastic wrap, then roll it around crispy bacon, bell pepper, and dill pickle for a meaty, slightly sour combination. A milky sour cream sauce rounds it out. Serve it with crisp salad to balance out the richness. The aroma of this incredible meatball and potato stew will wake up your nostrils even after a long day. Frozen or homemade meatballs both work well in this recipe, but do make sure you cook the meatballs fully before adding. Otherwise, they'll fall apart and you will end up with creamy ground beef, instead. Cooking stew beef or chuck roast with beer results in a tender, succulent meat that tastes great as an open-faced sandwich or the gravy and mashed potatoes. You can also make it with low-sodium beef stock if you'd rather not use beer. The budget-friendly recipe can serve a crowd, if you need an easy meal for a large group. Continue to 25 of 33 below. Sloppy Joes certainly earn their name, and both kids and kids-at-heart love them. This easy recipe sneaks some shredded vegetables into the mix to give the sandwiches an extra hit of nutrition. Serve it with French fries or potato chips for contrast, or you can serve them as part of a game day or tailgating spread. The humble cheeseburger is as American as cherry pie, and they hit the spot any time of year. Skip the drive-thru and the keep that fried scent out of your curtains when you make these simple burgers right in your slow cooker. Best of all, this budget-friendly menu requires just five ingredients. Round steak and vegetables become a tasty, nutritious meal in the slow cooker, especially if you brown the steak on the stove first. The extra step gives it deeper flavor that really makes a difference, but you can skip if you're short on time. This recipe makes enough for eight, so you can scale it down for a smaller group or save the extra as leftovers. It reheats well as a tasty lunch. Root vegetables like rutabaga, carrots, and potatoes cook right alongside the pot roast in this hearty, satisfying meal that just tastes like home. Sliced bacon adds extra salty meatiness. You can use a chuck roast, top-, or bottom-round roast in this simple, traditional recipe. Continue to 29 of 33 below. Peppers and steak flavored with ginger and soy sauce create an Asian-American flavor that you may know from your favorite Chinese food joint. You can make it in your slow cooker perfectly well, so put down the takeout menu! Serve it with hot white rice or cauliflower rice, if you're cutting carbs. If you live in the South or the Midwest, you may already know this awesome Rotel beef dip. It appears on many Super Bowl or tailgate menus and no potluck would feel complete without it. Whip it up, stick it in the slow cooker, and serve straight from the dish for an easy, low-fuss appetizer. It tastes great with tortilla chips or sliced baguette rounds. You don't need to fire up the stove to enjoy fajitas for dinner. Skirt steak becomes tender and well-flavored in the slow cooker, along with sliced bell peppers and onions. Warm some tortillas and serve them with sour cream, chopped cilantro, avocado, shredded cheese, and chopped tomatoes on top. Use skirt steak tips for this tasty recipe and forget about your grill for the night. Sliced mushrooms, tomatoes, peppers, and soy sauce create a succulent sauce that you'll want to sop up with a little crusty bread. Browning the beef first gives it a richer flavor, but it's not essential if you're short on time. Continue to 33 of 33 below. If you can't decide between pizza and pasta, go for the best of both worlds with this easy slow cooker pizza casserole. Shredded cheese, ground beef, and Italian seasonings come together over 4-6 hours for a delightful family meal. Garlic bread goes perfectly on the side, to round it all out.